A fire that not only keeps you warm, but also makes you hungry? KFC quickly sold out of a five pound log that it says smells just like fried chicken. LOUISVILLE, Ky. (KGO) -- A fire that not only keeps you warm, but also makes you hungry? 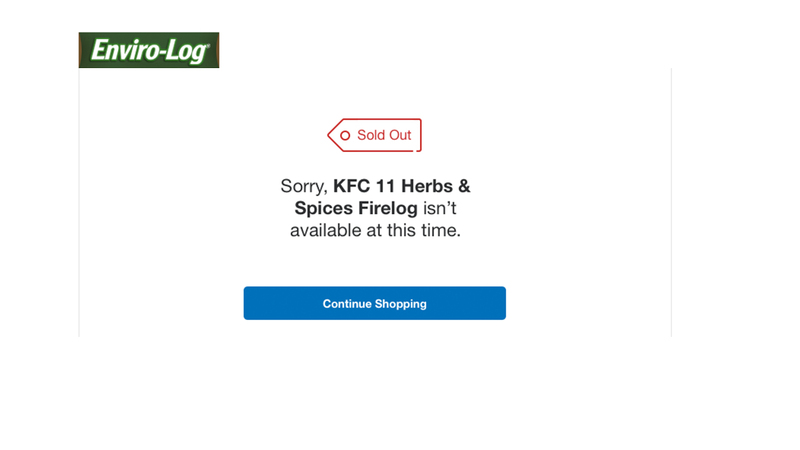 Click here to see if the KFC firelog has been restocked.